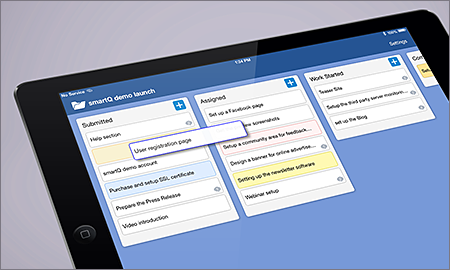 We just released smartQ app for iPad! It takes advantage of the iPad screen size – you can easily navigate your tickets, move them with drag-and-drop, add notes and upload files! Download it from Apple App Store (iTunes). Note: smartQ iPhone app is available through the same link.